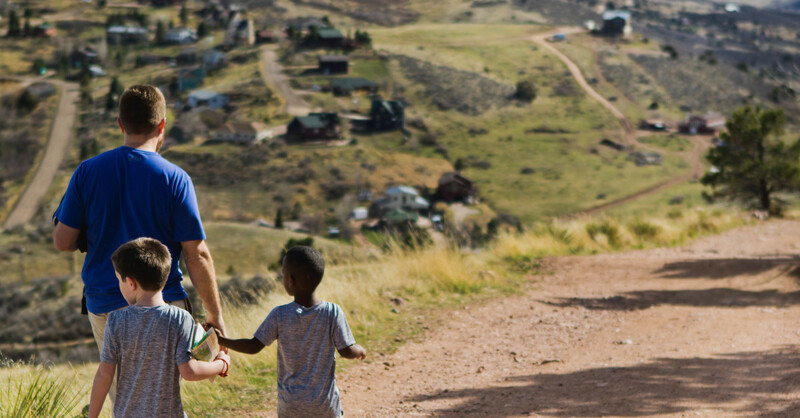 Buck Run church planters Zack and Jennifer Thurman and their sons, John Owen and James, have moved to Fort Collins, Colorado to officially begin the work of planting Overland Church. A team from Buck Run joined the Thurman family on the 18 hour drive to their new home. The team spent a week unloading the 26′ Penske, remodeling the upstairs of their new home, and moving the Thurmans into their new rooms. The Thurman’s move is a significant milestone in Buck Run’s mission of planting Overland Church in Fort Collins. For many months there has been much praying, training, and fundraising, but now the first family from Buck Run is on the ground in Colorado. Zack and Jennifer will continue to settle into their new home and prepare it to be a hub for the activities of the new church plant. Zack will begin North American Mission Board Church Planter training in August with a handful of other Colorado church planters. The friendly nature of the people of Fort Collins has already led to Zack and Jennifer meeting dozens of folks from their neighborhood. Seek the Lord and see if He would have your family relocate to Fort Collins to be a part of the Overland Church team. Consider financially supporting Overland Church. You can learn more about giving here. Pray that Fort Collins will quickly feel like the home for the Thurmans. Pray especially for John Owen and James during this time of transition. Pray for the Lord to send new friends into their lives and that going to a new school will not be an intimidating time. Pray for opportunities to have Gospel conversations in their neighborhood and around the city. How can I serve the Thurmans and Overland Church?